The past three weeks last month has been for some strange reason filled with a ton of tomatoes. It, finally, rained and our two tomato vines are putting on the most beautiful cherry tomatoes! And then our neighbour’s tomatoes ripened and they shared with us on top of us buying two buckets of tomatoes in the name of saving for the future. We have been swimming in tomatoes y’all. 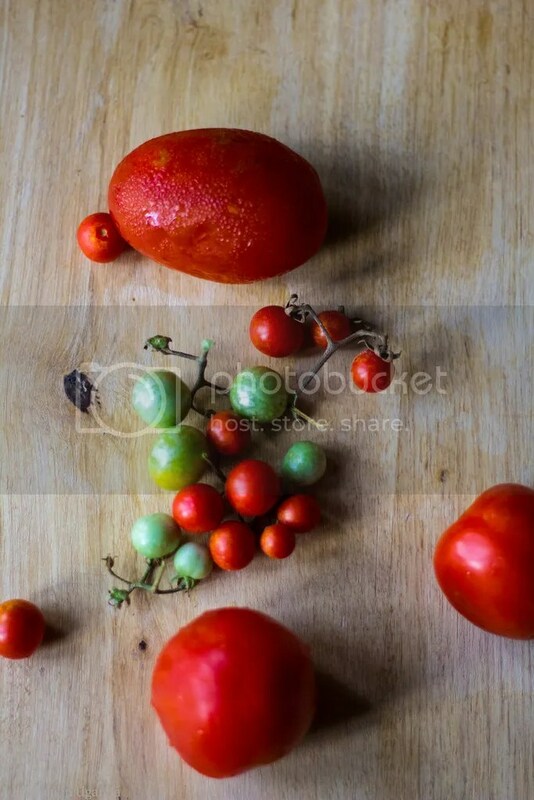 And just like any other food, too much tomatoes without variety of cooking will make you hate them. I did do not want to hate tomatoes! Who hates tomatoes? seriously, who does? 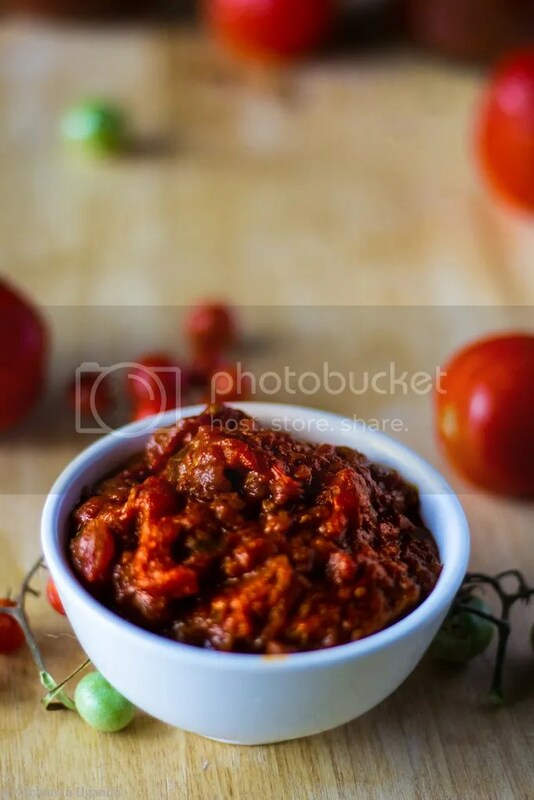 So to save all the tomatoes that were rapidly ripening and could not fit in the tiny refrigerator, we gave away some, made katogo with some and them made this sauce. 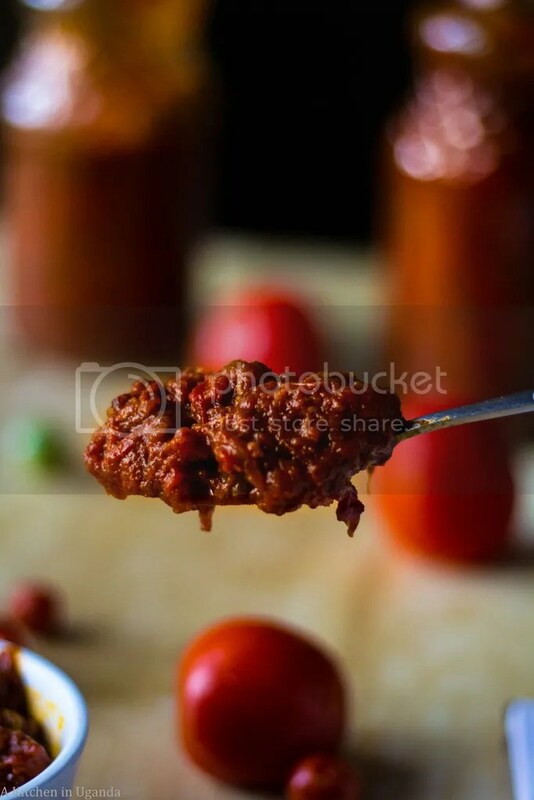 Hands down the best homemade tomato sauce I have ever made. And I am not even biased. 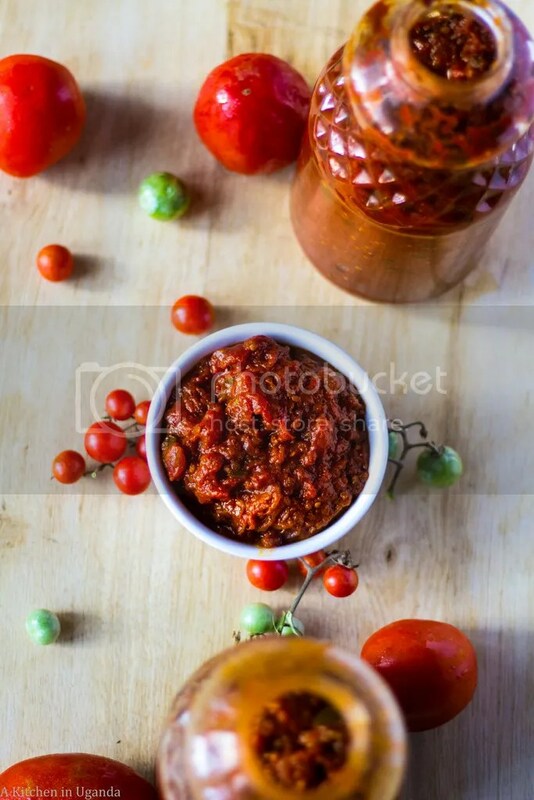 No need to always fry your tomatoes when you could just get a spoon out of that jar and instantly season your stews and soups. Hello pasta lovers. This is your ultimate instant pasta sauce for all those midnight pasta cravings. I’m guilty. Spoon some on sandwiches and you have a good savory sandwich. Wash the tomatoes well. Using a knife, cut an x at the tip of every tomato. Place tomatoes in a large saucepan and add water. The water should be more than the tomatoes. On high heat, bring the tomatoes to almost a boil. This will help loosen the tomato skins. Remove pan from fire after the tomato skins are loosened. Drain the hot water and add cold water (preferably with Ice). Using your hands, peel off the tomato skins. Dice/ cut the tomatoes into 1/4 pieces. Place a saucepan on high heat and let it dry. Add oil and wait for it to get hot. Add garlic and onions and let them cook till they become translucent. Add the tomatoes. Let them get coated with the flavoured oil. Next add the rest of the ingredients and cover pan. Bring the tomatoes to a boil for about 30 minutes. Keep stirring to break down the softened tomato flesh. After 30 minutes, let the tomatoes simmer on low fire until all the water has reduced to half. They will lose their bright red colour and have a rich dark red colour. This will take 2-3 hours. Let the tomato sauce cool down completely. Place in jars and store in the refrigerator. It can last up to one month refrigerated. 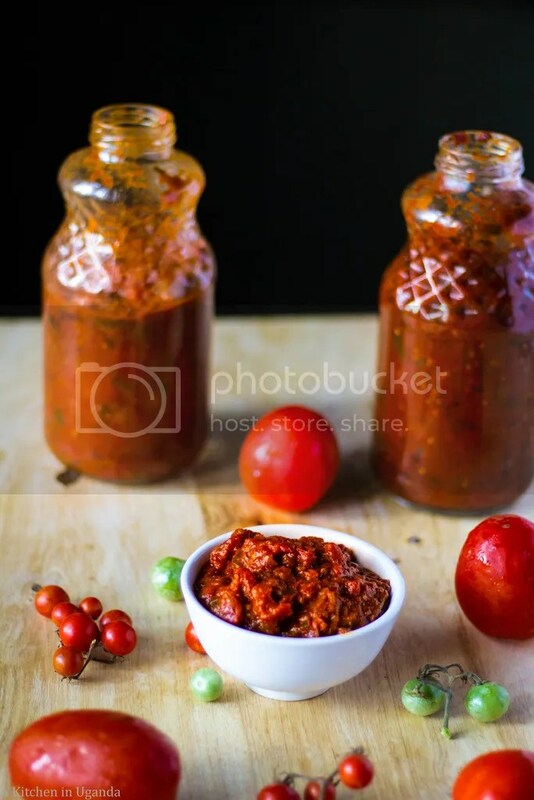 Just imagine all you can do with a bottle of this rich sauce. So. Are you going to give this sauce a try? Let me know in the comments below. Questions: Where do we get Orange zest. Are those coriander leaves or ground seeds? Other wise I am a pastafarian and I cant wait to do this! Hi Anne. We should be pasta friends! To get orange zest, just grate the skin of oranges or lemons. About a half teaspoon is enough. It adds a wonderful flavor and fragrance. I used fresh coriander leaves because their scent is stronger. But you can use the seeds too. Oh wow, I might have to experiment with this for a Ruby & Pickles event! That would be awesome Sareta. Thanks for that lemon pickle recipe!